We cordially invite you to attend the DARE research seminar on “Entrepreneurial Dynamics in a Globalized World”, which will be organized in collaboration with the Department of Business Studies of Leiden University. There exists a lot of dynamism in entrepreneurship, which is in part reflected by individuals’ mobility in and out of entrepreneurship. Workers may move between, and return to, labor market positions to learn about their skills, ability, and earnings. Individuals may also decide to become entrepreneurs at a later age, known as senior entrepreneurship, which has received increased attention in the context of ageing societies. Scholars who are interested in presenting their work at the upcoming DARE Research Seminar are kindly requested to submit an extended abstract or a full working paper to Werner Liebregts no later than Monday April 15, 2019. We welcome submissions of both theoretical and empirical papers that are not yet published. Papers may also focus on novel research methods in research directions related to the seminar’s theme. We look forward to receiving your work and to your attendance on the 16th of May! The Spring Talk belongs to a series of 4 interactive lectures per year, organized by NIKOS in collaboration with DesignLab, for students, staff, researchers in and outside UT, and industry contacts in and outside Twente, covering topics on bridging Design, Management, Innovation and Entrepreneurship. The Spring Talk is co-organized with Product Development & Management Association – The Netherlands. DESIGN ROADMAPPING is for anyone interested in design, strategy and innovations and its wonderful combination that can be found in a design roadmap. For designers, strategists and innovators alike, we compiled a design book to guide you on your journey of roadmapping the future, with the land marks of products and services you envisioned together with a team of innovators. A journey that can start with uncovering new trends, scouting for new technologies, and mapping the values on the roadmap. Along the way, you can map a future vision, frame the time pacing and create the pathways towards it. In this talk Lianne Simonse will share some of the essentials in design roadmapping that stem directly from her working life as an industrial consultant, roadmapper, researcher and teacher in a design school. Besides the highlights and explorations on the decision support that a roadmap can offer, she will delve into the creative challenges of trend research and future visioning that are part of roadmapping. Lianne Simonse is passionate about innovation, design and strategy and its wonderful combination. She loves art, cars, and likes to travel. Part of the master strategic product design Lianne teaches Design Roadmapping at the Industrial Design Engineering Faculty of Delft University of Technology. She holds a MSc. and PhD in innovation management and has combined her academic positions with 20 years of professional experience in industry. Lianne has executed and led several roadmapping projects and worked with different corporate organisations and start-up ventures on roadmaps. Dr. Simonse conducts a scientific research track on Design Roadmapping. Drawn from the research results, she has presented papers, including an award winning, at conferences of the Design Society, the Product Development and Management Association, Academy of Management and European Group of Organisational Studies. Her scientific work is published in journals such as Design Issues, Journal of Product Innovation Management and International Journal of Technology Intelligence and Planning. Based on this comprehensive work and her experiences with roadmapping in industry, the guidebook on Design Roadmapping has been written. The 11th DARE Seminar took place at the University of Twente, co-hosted by the Netherlands Institute for Knowledge-Intensive Entrepreneurship (NIKOS). Entrepreneurship researchers from all over the Netherlands and even Spain were able to network, create memories, and discuss many important new research insights that are vital to a better understanding of entrepreneurial behavior. Some of these include the role of mindfulness for taking entrepreneurial action, next to the role of entrepreneurs’ motives and coping strategies as resources that strengthen or weaken the stress effect of working conditions in the start-up and exit context. Furthermore, the role of simplified prototype and imagination for opportunity recognition was explored – also in the context of entrepreneurship education – next to discussing the role of creative leadership and dark triad traits in the corporate entrepreneurship context. Finally, participants gained interesting insights into the differential effects of optimism and overconfidence on entrepreneurial intention and orientation, as well as the linkages between narcissism and entrepreneurship, and BIS/BAS psychophysiology and entrepreneurship. In sum, by bringing together renown researchers with connectable foci on entrepreneurial behavior, the 11th DARE Seminar stimulated further engagement in nuanced research at the nexus of the enterprising individual and the entrepreneurial behavior. NIKOS is organising quite some interesting Venture Classes and lectures. For example, in December a ‘Meet-the-editor-session‘ will take place with Marc Gruber (EPFL), who will share his experience as Deputy Editor at the Academy of Management Journal (AMJ). On behalf of DARE and NIKOS we thank you for your interest. We cordially invite you to the 10th DARE research seminar “ENTREPRENEURSHIP IN CONTEXT” on December 2 2016, 13:00-18:00 hours (including network drinks), Vrije Universiteit Amsterdam. Much of current research presents research results as if they are universally and timelessly valid. Entrepreneurship in Context draws attention to the idea that entrepreneurship is a context bound phenomenon. For entrepreneurship, the importance of context goes beyond gaining understanding and avoiding mistakes. The reciprocal influence exercised by the entrepreneurial venture and its corresponding context is at the very heart of the entrepreneur as an agent of change. As such, context is not the same as a static background upon which events happen, but intricately linked to the actions and outcomes of entrepreneurship. This seminar aims to discuss, reflect on and further develop submitted papers. The program allows for a limited number of presentations; if you are interested in presenting your work, please submit a short abstract (max. 300 words) in a word-compatible format electronically to n.a.thompson@vu.nl before 15 November, 2016. Unpublished work and work in progress are welcomed. Please register by sending an email to: Jessica van Gendt at j.van.gendt@vu.nl with your full name and name of the organization. collaborative work between scholars and practitioners in the area of entrepreneurship, innovation and/or design. This seminar aims to discuss, reflect on and further develop submitted papers. The program allows for a limited number of presentations; if you are interested in presenting your work, please submit a short abstract (max. 300 words) in a word-compatible format electronically to a.g.l.romme@tue.nl before April 22, 2016. Unpublished work and work in progress are welcomed. 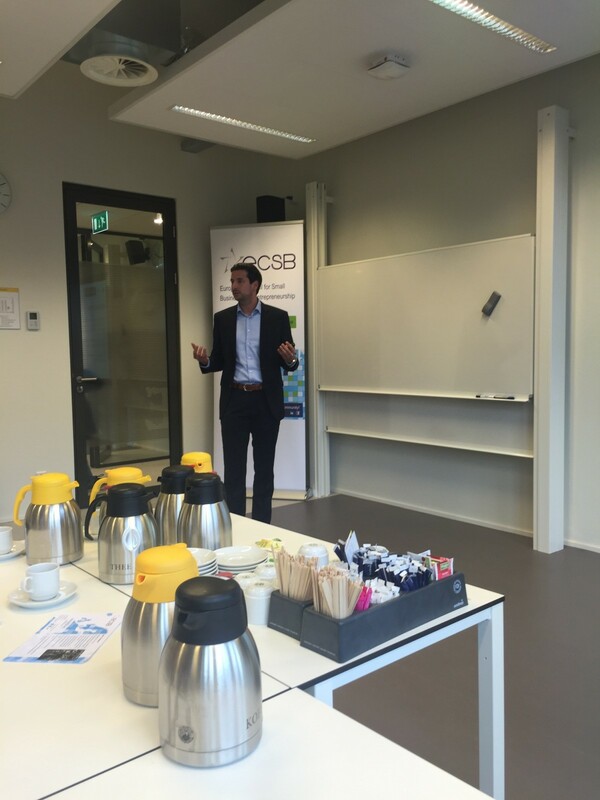 DARE-Fellow Erik Stam gave a lecture on the State of Entrepreneurship in the Netherlands at the opening event of the Global Entrepreneurship Week. If you look at the number of new firms and independent entrepreneurial activity in the Netherlands over the last decade, you can see a doubling of these numbers, elevating the Netherlands far beyond most of the European benchmark countries (including Belgium, Germany, Denmark, Sweden). A miracle in itself, and one is tempted to say ‘the State of Entrepreneurship is Strong in the Netherlands’. However, there is some ambiguity if you delve more deeply into these numbers. The growth of entrepreneurship in the Netherlands is largely a growth of solo self-employed, and not of entrepreneurs with high growth ambitions. The devil is in the definition. The State of Entrepreneurship is Strong(er) in the Netherlands, but there is no reason to be satisfied: we can be a bit more ambitious. The State of Entrepreneurship in the Netherlands needs a second transition. On November 23, public and private leaders and her Majesty the Queen Maxima gathered in The Hague to discuss the State of the SME sector (De Staat van het MKB) in the Netherlands. Here also the devil is in the definition: how do we define SMEs, and why do we think this is an important category in economy and society? Stam’s argument would be that entrepreneurship is the source of diversity in the economy, diversity that is a necessary element of economic progress. Much of this diversity finds its way into the economy via the ‘SME sector’: the generation, application and diffusion of new ideas. However, a substantial part of the SME sector is not involved in this game, and a lot of entrepreneurial action takes place within large enterprises (entrepreneurial employees) and in new coalitions of solopreneurs. So we need to go beyond the traditional focus on SMEs as the category of entrepreneurship, and both broaden and narrow our view on the State of Entrepreneurship. Hare Majesteit Koningin Máxima is maandagmiddag 23 november aanwezig bij de lancering van ‘De Staat van het MKB’ in de Malietoren in Den Haag. Met dit nieuwe onafhankelijke platform willen overheid, bedrijfsleven en kennisinstellingen de in Nederland beschikbare kennis over het midden- en kleinbedrijf verbeteren. Naast een platform is De Staat van het MKB ook een samenwerkingsverband. Op 23 november worden een website en een overzichtspublicatie gepresenteerd. De Staat van het MKB is een initiatief van het Nederlands Comité voor Ondernemerschap en Financiering, in samenwerking met het ministerie van Economische Zaken, het Centraal Bureau voor de Statistiek (CBS), MKB-Nederland en DARE, bestaande uit enkele hoogleraren die zich richten op ondernemerschap. Betere informatievoorziening over het MKB moet eveneens leiden tot een verbetering van beleid en dienstverlening gericht op het MKB. Tijdens de lancering komen diverse ondernemers aan het woord en geven samenwerkingspartners hun visie op het MKB en het belang van goede informatie en kennis hierover. 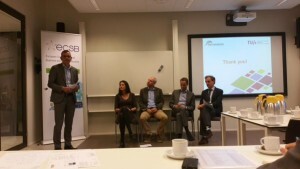 Hoofdeconoom van het CBS, Peter Hein van Mulligen, spreekt samen met directeur van het Big Data Expert Centre van Fontys Hogescholen, Erik van Tol, over de toenemende kansen op het gebied van data in de beleidsvorming en dienstverlening aan het MKB. Koningin Máxima is lid van het Nederlands Comité voor Ondernemerschap en Financiering. Dit comité is in 2011 opgericht als vervolg op de Raad voor Microfinanciering, waarvan Koningin Máxima van 2007 tot 2011 lid was. Zij zet zich in om het bereik van financieringsmogelijkheden te vergroten, zowel met coaching als met krediet voor potentiële en bestaande kleine ondernemers. Suppose that we needed to plea for more funding for entrepreneurship education, how would we pitch the (assumed) benefits of these endeavors for economic prosperity? In other words, what are the effects of our efforts to promote entrepreneurship through education programs? Key questions that were addressed during the 8th DARE research seminar in Utrecht, co-organized with Utrecht School of Economics and ECSB. Our main conclusion after a day of insightful research and fruitful discussions: we are gaining insights, but there is still much that we do not know and it is necessary to collaborate in entrepreneurship research and share information. 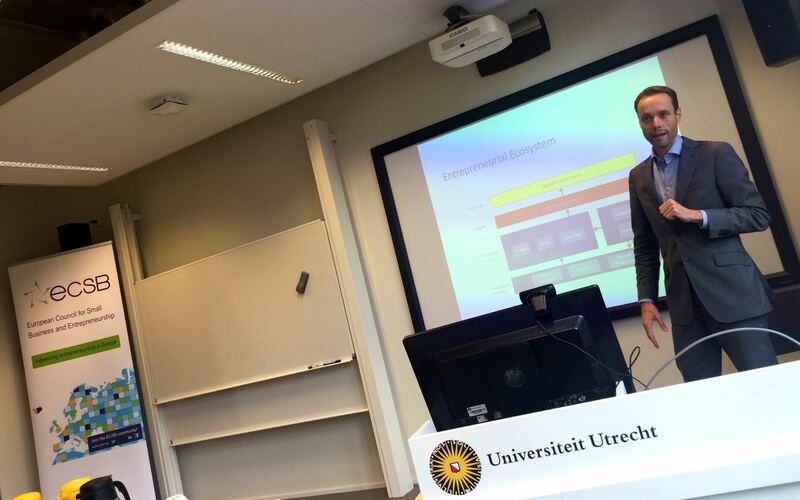 To put the efforts of entrepreneurship education and a society’s entrepreneurial endeavors in a relevant context, Erik Stam (Utrecht University) introduced the Entrepreneurial Ecosystem approach. The interaction between education, research and entrepreneurship also known as the ‘knowledge triangle’, can help tackle jointly economic an social challenges. It was stressed that in order to have a productive knowledge triangle, that contributes to a a society’s prosperity, we need to produce valuable knowledge, carried by innovations. Hence, it is important to know that the knowledge triangle will only be productive if it is embedded in a well functioning entrepreneurial ecosystem. Future challenges set out for entrepreneurship researchers are to unravel the effects of key elements in the ecosystems (e.g. culture, institutions, finance, leadership, networks) on the generation of entrepreneurial activity (e.g. student entrepreneurs, spin-offs, entrepreneurial employee activity). One important insight of the day was that (self-)awareness of entrepreneurship as a viable career option could be affected by entrepreneurship education. An international research endeavor on student’s entrepreneurial intentions, specifically addresses this relationship as explained by Anne van Ewijk (Abu Dhabi University). So far, 41 universities have been approached of which 17 assured their participation. There is still opportunity to participate in the project (click here for more information). Also, research by Matthijs Hammer (Delft University of Technology/Saxion University of Applied Sciences) showed that the didactical design of some entrepreneurship education programs in the Netherlands score higher on the awareness phase of the entrepreneurial opportunity and development process, while other programs are more oriented towards venture creation. In contrast, two Finnish programs assessed in the study were more balanced considering their orientation on entrepreneurial phases. How does human capital affect the allocation of entrepreneurial talent across independent and employee activity? In general, an individual educational attainment is an important breeding ground for entrepreneurial activity. It can positively affect the propensity to become an ambitious entrepreneur, not only in an independent position but also as an entrepreneurial employee (intrapreneurs). Werner Liebregts (Utrecht University) demonstrated how this effect is even stronger for the latter category, especially in countries with a high uncertainty avoidant population. Extending these outcomes, Sharon Dolmans (Eindhoven University of Technology) showed a positive impact of entrepreneurship educational programs (Jong Ondernemen) on employment activities and employability. By means of a field experiment with control group design, the study found support of: a higher likelihood of employment, a shorter time to the first job, a higher likelihood of managing positions, and more time spent on leading new initiatives. Finally, an important new insight that the seminar yielded was presented by André van Stel (Kozminski University). He stressed that family firm succession is becoming more and more problematic as the intentions of students to take over their parents’ business are low (approximately 5% across the world). Better employment options, starting an own business and negative experiences in the family firm may interfere. Taking that into account it was found that this succession interest can be raised by: involvement of children in their parents’ business operations during their university studies, and with dedicated university programs promoting the interest of current students in their parents’ business operations. Expert panel – What do we know and what do we still need to know about the effects of entrepreneurship education? A general conclusion of the day was that entrepreneurship education may be beneficial for both students and the wider society, even if not all students end up running their own businesses. The various presentations showed that in modern economies, the availability of entrepreneurial emloyees becomes more and more important for business success. Moreover, students following entrepreneurship education are more likely to find a managing position, either in a corporate firm or in a family business. Hence, entrepreneurship education enables the emergence of successful new businesses not only by delivering new independent entrepreneurs but also by delivering entrepreneurial employees that the independent entrepreneurs need to make their business a success. On the verge of, undoubtedly, a well-earned summer break we would like to inform you on the latest developments within the Dutch Academy of Research in Entrepreneurship (DARE). This year, we witnessed much dynamic and enthusiasm within the DARE community. As a result numerous initiatives were started, on which we would like to inform you. DARE now has a new website and a new partner: Dutch Centers for Entrepreneurship (DutchCE). The new website can be found on www.dare-research.nl and provides the latest information on papers, events and other news from the Dutch entrepreneurship research community. Please stay informed by visiting the website and by following our new twitteraccount @DareResearch. Special thanks go out to Hein Roelfsema from DutchCE for making the website available and who will also help with providing content and support for DARE initiatives in the future. You will be hearing a lot more from him. On July 2nd DARE co-organized an event at the ECE Campus in Rotterdam on the so-called “Topondernemersregeling”. This policy instrument can be implemented by (higher) education intitutes to better facilitate high potential, ambitious student entrepreneurs, who otherwise would face trouble with their curriculum. In that sense, it is analogue to the arrangement for professional athletes known as the “topsportregeling”. One important finding was that only very few students qualify as a ‘topondernemer’, but that there were good opportunities to provide tailored support for these high potentials. Contingencies of the arrangement were deemed valuable, e.g. the intragroup learning effects were substantial and it was also worthwhile to monitor high potentials in an early stage. 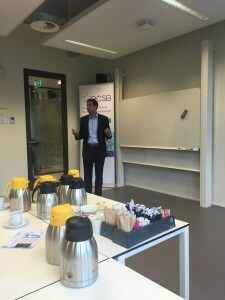 The DARE seminar last May in Maastricht suggested greater involvement of the professorships on entrepreneurship at the Dutch Universities of Applied Sciences. This coincided with the founding of a joint collaboration/meeting of these professorships (Lectorenoverleg ondernemerschap). DARE is delighted by this enthusiasm and involvement and facilitates this by welcoming the professorships as DARE-fellows. In our philosophy this helps to invoke more joint efforts, like: joint proposals (e.g. RAAK/NWO grants), joint data collection (e.g. GUESSS; Alumni monitors), joint research agendas. More information will follow on the DARE website. We thank everyone within DARE for their involvement and please let us know if there is anything interesting for the members that we can share on the website or mail. Also suggestions, research outcomes and initiatives are highly welcomed. Keep up the good work and enjoy a well-deserved summer break!